As the seasons change, the holidays are approaching. Tis the season we have all been waiting for, the season of giving and showing loved ones your appreciation. This year TooMuchInfo has got you covered! No more last minute scrambling to find the perfect gift. To ensure the holiday season goes as smooth as possible we have prepared a list of our Top 5 GO-TO gifts for the holiday season! 1. Bottle of Wine – You can always find wine on sale around the holiday season. Some bottles are even as low as low as $6.99. Wine is a great gift that can be gifted to just about anyone, as long as they're over the age of 21. I mean who doesn’t love wine? 2. Chocolates – Chocolates aren't just for romantic nights. They can be the perfect gift for any occasion especially, for a delicious dessert after an amazing Thanksgiving/Christmas feast. Head to your favorite candy store and purchase some mouth-watering chocolates for the ones you love. 3. 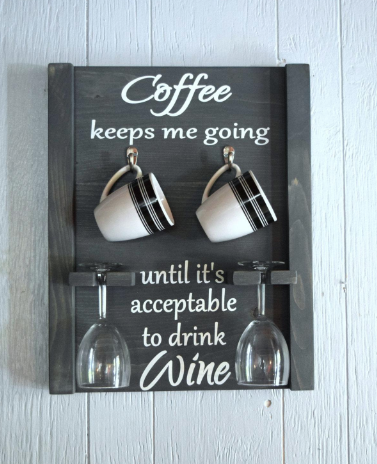 Decorative Wine Glass/Coffee Mug – Who doesn’t love a gift from the heart? Something you take time out to personalize yourself is worth way more than any store-bought gift. You can find a beautiful ordinary wine glass or coffee mug in your local dollar store and add décor to spice it. 4. Candles - Sweet scents are an excellent addition to set-off the holiday seasons. Whether its Cinnamon Apple, Maple Tree, or Autumn Orchids these scents will always be compatible with any holiday preparation. Check out www.yankeecandle.com to find the best scent for your holiday celebration. 5. Gift Card – Lastly, if you cannot decide on anything else.. Money is always the way to go! No one will turn down $$$. Give your family or friends a gift card to their favorite store for the holidays and let them buy whatever they love courtesy of you.